Digvijaya Singh,senior leader of Congress , who is more popular for contradicting and counter-attacking Team Anna,Baba Ramdev and almost anyone and everyone who talks against the UPA government, repeatedly criticized Mamata Banerjee on the camera for not supporting UPA in Presidential Poll. In his interview to a news channel, he declared, how disappointed and frustrated Congress had become to take ‘tantrums’ of Mamata Banerjee. Sensing the emergence of the situation , the Congress party, in a media release declared that Digvijaya Singh was not officially authorized to talk on behalf of the Congress Party in the media. Realizing that TMC supremo is still a reliable ally compared to the SP which can change stands at any instance, the Congress must have thought its better not to give wrong signals to Mamata Banerjee. 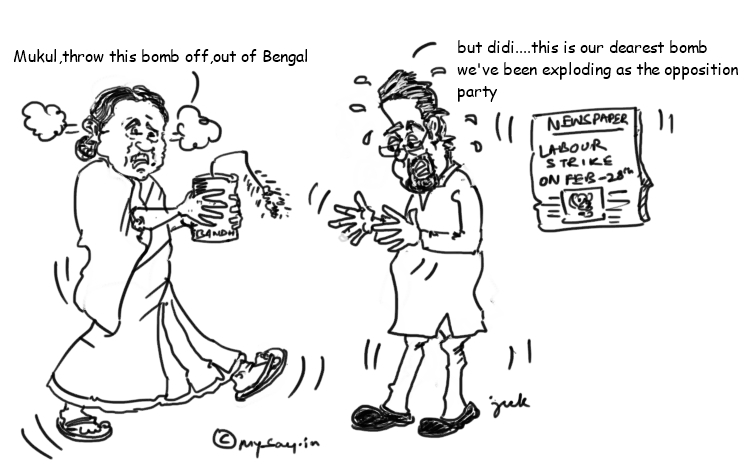 Mulayam Singh’s U-Turn…support to Congress.TMC ditched ! TMC supremo and key-ally of UPA government, Mamata Banerjee had stated on Thursday that she and SP head,Mulayam Singh Yadav were steadfast in their support for Dr Abdul Kalam as the next president . However, on Friday the SP extended support to Pranab Mukherjee’s candidature. 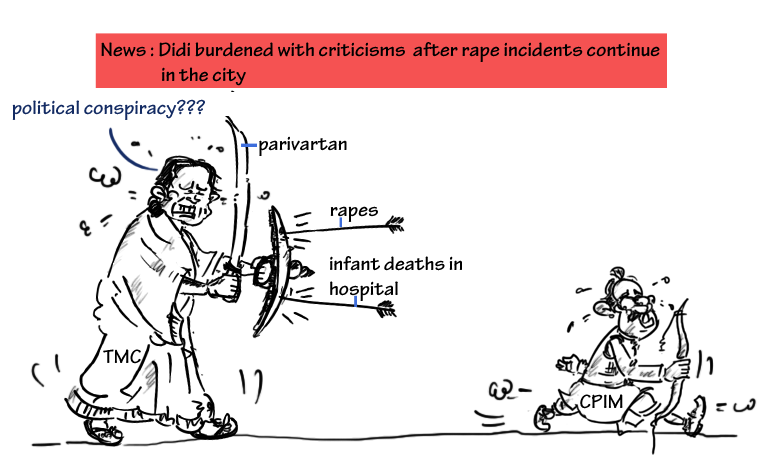 Mulayam Singh Yadav has been known for changing decisions, at the very last moment,many a times in his political career and this time it was Didi, the leader known for sticking by her words,on the suffering end! The TMC has termed Mr Singh a Traitor and has recalled that they still support Dr Kalam for the Presidential Candidature. Didi asks Vilasrao Deshmukh to reconsider SRK’s Wankhade Stadium Ban imposed by MCA for 5 years! Vilasrao Deshmukh, Union Minister, Science and Technology and also the president of Maharashtra Cricket Association had visited Kolkata along with the Prime Minister. Mamata Banerjee (didi), utilized the opportunity to ask him to reconsider West Bengal’s brand ambassador and Kolkata Knight Rider Team co-owner, Shah Rukh Khan’s ban from entering Wankhade stadium(which is under MCA) for 5 years. Well, SRK deserves such favors from didi not only because he is the brand ambassador for the state but also because his KKR team won the IPL cup for the city 😉 !